As one of the pillars of Kdan Mobile, a Taiwan-based software developer specialized in providing solutions to better leverage productivity and creativity, Animation Desk is reshuffling its current interface to give its users a clearer and tidier animation construction structure, and adding other new features including an in-app search engine. The newly added Storyboard feature enables the development of multiple layers to the animation construction framework. As one of the pillars of Kdan Mobile, a Taiwan-based software developer specialized in providing solutions to better leverage productivity and creativity, Animation Desk is reshuffling its current interface to give its users a clearer and tidier animation construction structure, and adding other new features including an in-app search engine. Animation Desk is the first mobile application that provides tools to create traditional, hand-drawn animations. The Company has since made Animation Desk available on iOS, Android, and Windows after the app was applauded and downloaded by nearly 20 million users. Using the previous framework as the foundation, the latest update replaces the previously known Project with Sequence and introduces the Storyboard feature to develop three distinctive layers to the animation construction framework. The first layer consists of the individual sequences. In the second layer, the sequences are grouped by stringing them together to create the final animation storyboard - the third layer. Dividing the animation into sections for clearer structure is a well-established practice in the professional animation and filmmaking industry. 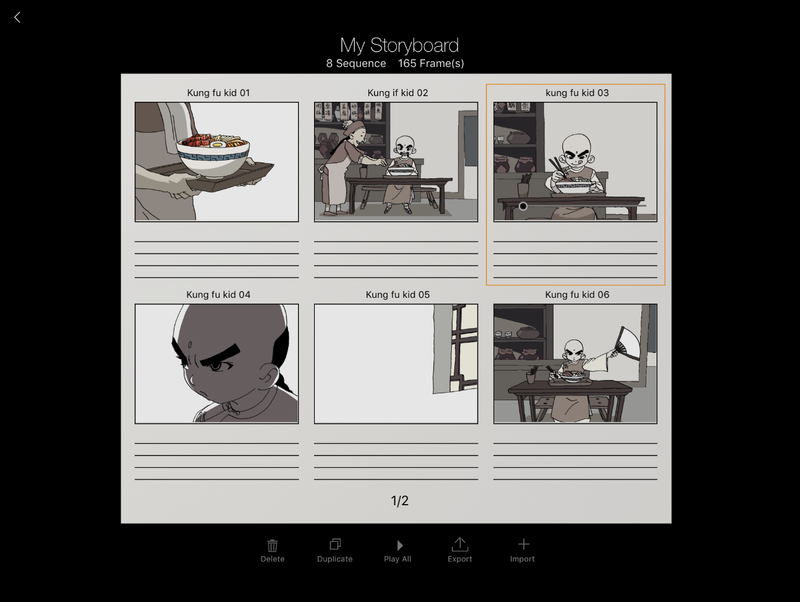 The new feature on Animation Desk enables the users to easily rearrange the order of the sequences, duplicate, export them to a different storyboard, and create numerous sequences within one storyboard. “By bringing this standard animation construction practice to our users, we aim to help them build a good foundation and further develop their animation professionalism, as well as making it easier for our users to edit and organize each animation sequence”, explained Kevin Huang, Chief Designer of Animation Desk. “With the aim of making storyboarding and communication more efficient in animation production, we want to offer a reliable and professional platform to fully express their creativity”, said Huang. Kdan Mobile now offers a subscription service called Creativity 365. Creativity 365 grants users extended access to the whole Creative App series, including Animation Desk. Creativity 365 streamlines content creation workflow across different devices, providing complete mobility and flexibility, and offers 1TB Kdan Cloud storage. Animation Desk is available for free on both the App Store and Google Play. When subscribed to the annual plan of Creativity 365, subscribers will receive a complimentary Adonit Dash 2 stylus until July 31, 2017.